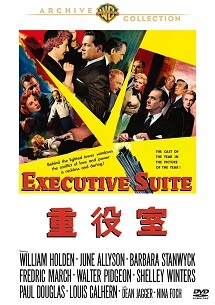 Executive Suite （c） 1953, Turner Entertainment Co. Package Design （c） 2017 Turner Entertainment Co. and Warner Bros. Entertainment Inc. Distributed by Warner Bros. Home Entertainment. All rights reserved.